Guess what time it is? It’s time for the best dressed of Zest! Now, I know what you’re thinking… I promised Part II of my amazing Sierra Nevada “Grizzly Getaway” adventures, but after sifting through about 600 photos I decided I needed to take another week (or two) on composing a second post. With that said, I decided to take on a much less time consuming project for this week! So the first of the month is just around the corner which means “move in day” for prospective tenants around the globe, myself included. The upside is that you get to move IN to an amazing new place, but the downside is that you have to go through the headache of moving OUT of another place… You have to sort through all your junk questioning all the while if you’ve become one of those crazy hoarders on reality television who never throws anything away. Tell me I’m not the only one! Well, after parting with several mondo-sized garbage bags of unnecessary odds and ends, I still had a few things I couldn’t part with. 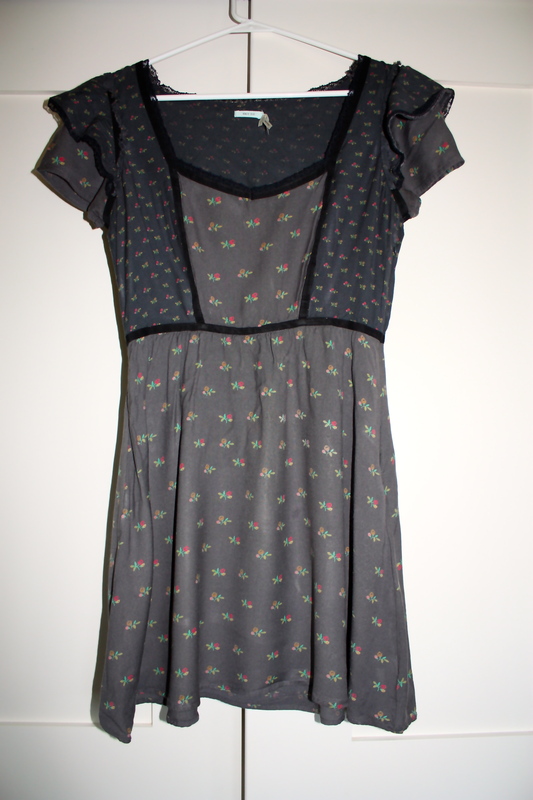 I took some taper’s chalk and made a line of where I wanted to hem the dress. I made it about an inch longer then where my pants would rest on my hips. 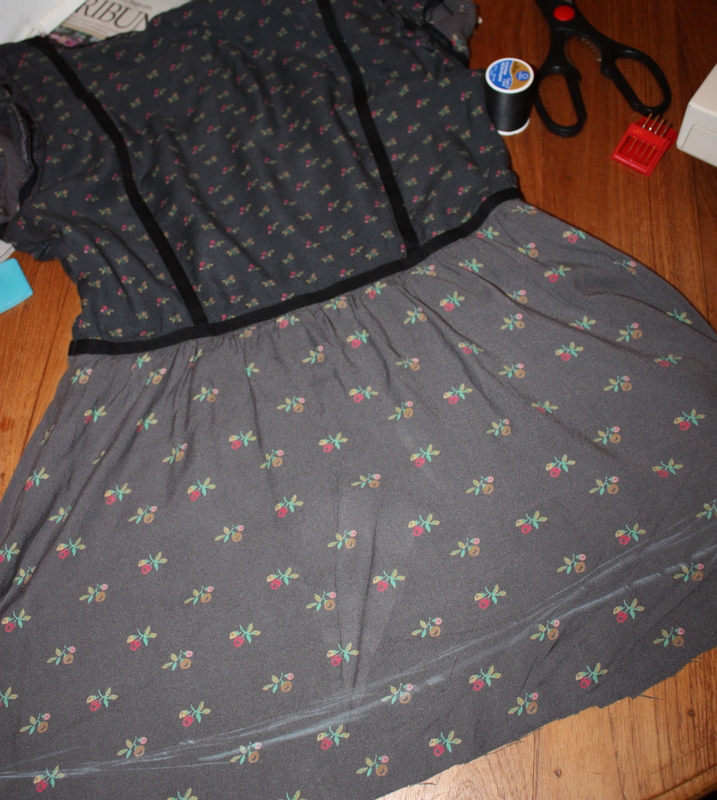 I did this while wearing the piece so it was easier to see how it would look once hemmed. Next, I took off the piece and continued my straight blue line all the way around the piece (I put a few pins in it as well, just to keep it straight). 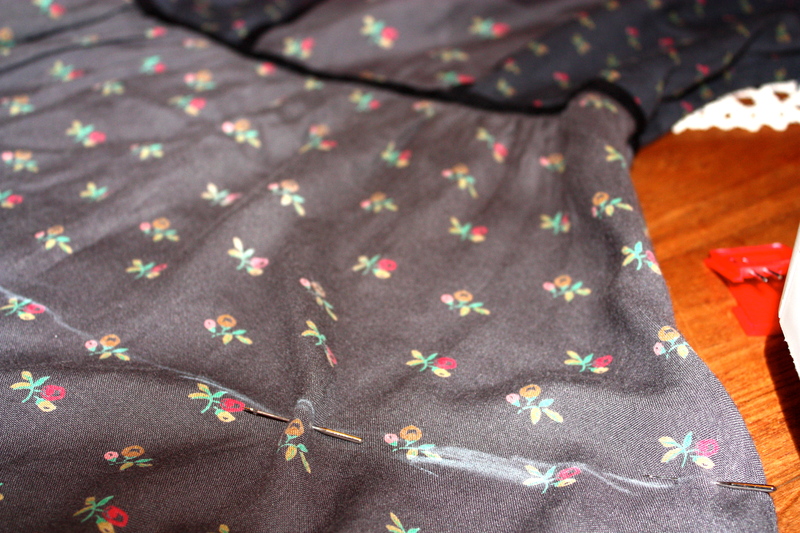 I then cut the fabric about 3 inches away from my line so it would be easier to sew. As you can plainly see, it took me a few tries to get my line straight but hey, I’m not the greatest seamstress by any stretch! Now it’s time to sew! 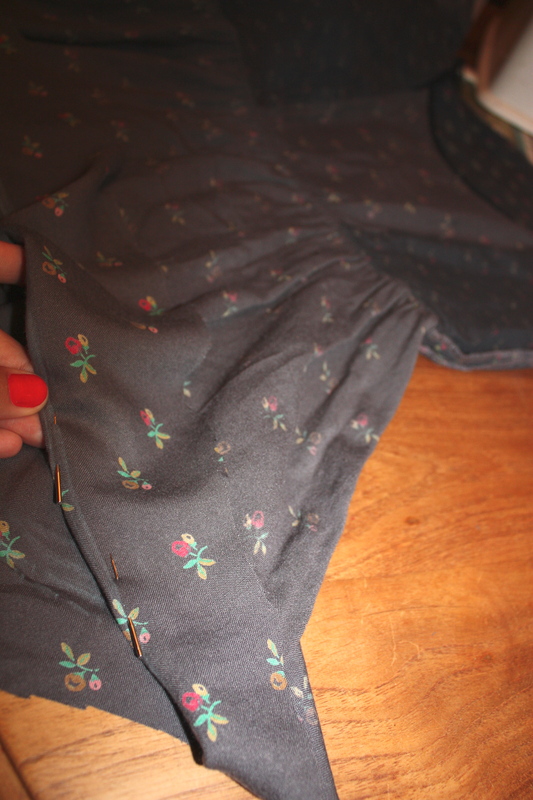 Just sew along the folded line, taking your pins out as you go. I used a simple v-stitch. 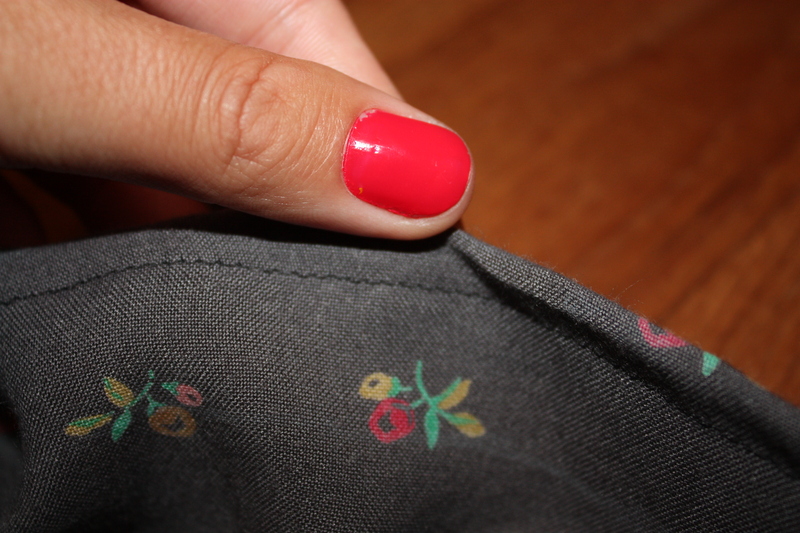 Here’s a look at the stitch from the inside…. 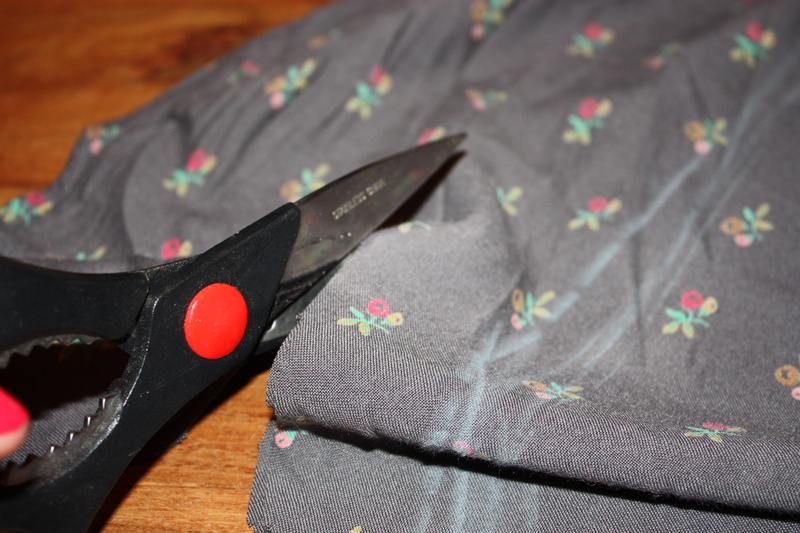 I cut the excess fabric from the inside of the hem and ironed it flat for a cleaner look. And there you have it! 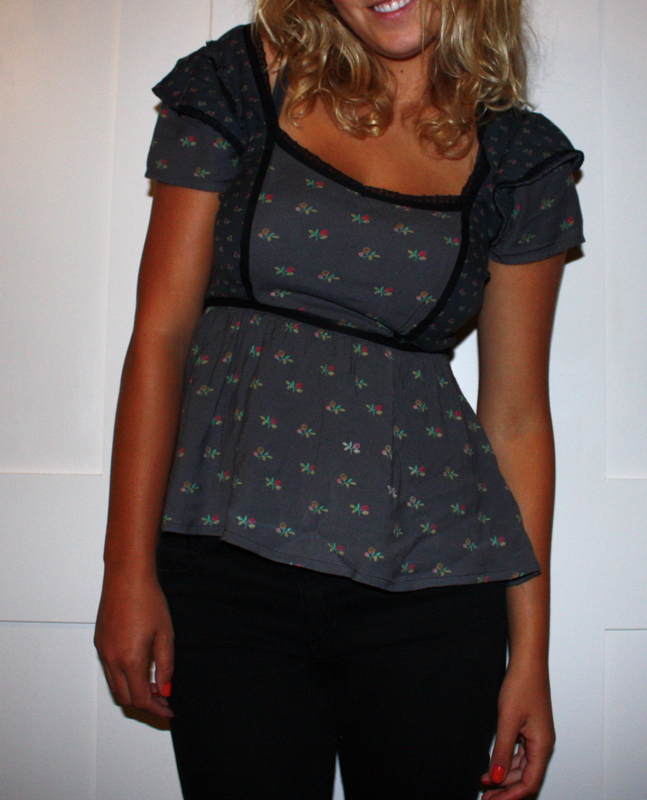 An easy refashioned dress made into a sweet little peplum top. 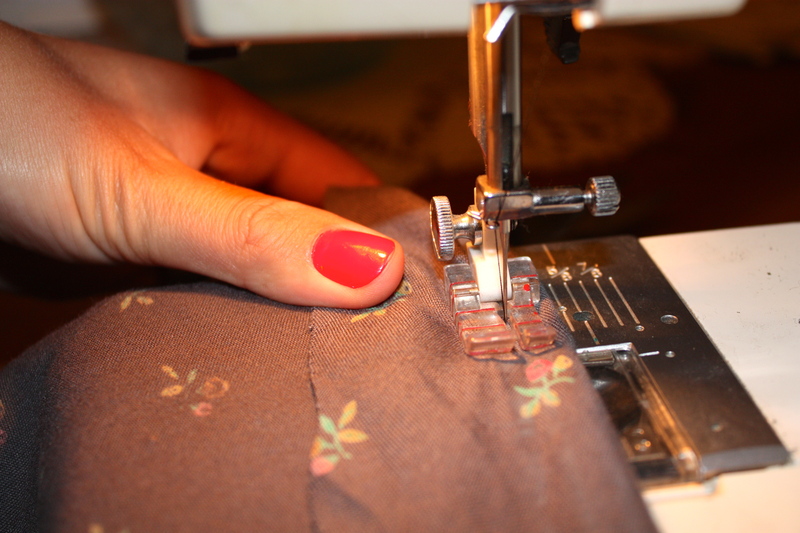 I even did it on a few other old dresses because it was so quick and easy!